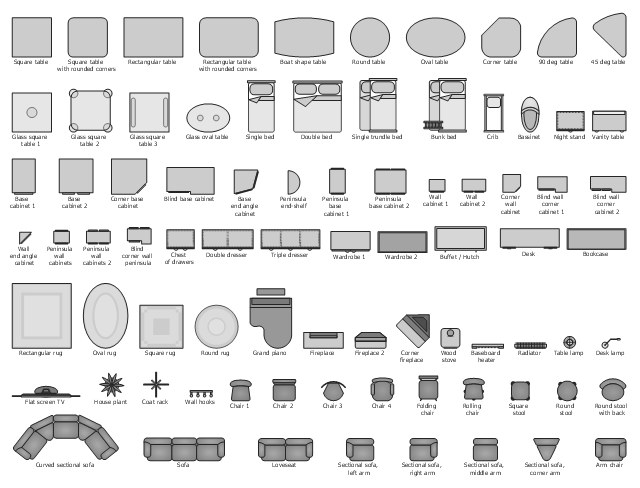 The vector stencils library Furniture contains 38 symbols of furniture and interior design elements. 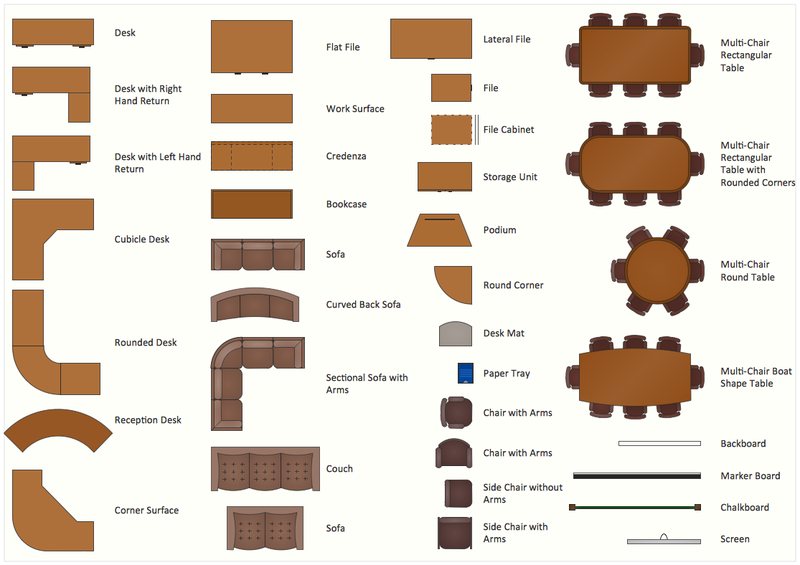 Use the design elements library Furniture to draw the furniture arrangements of living rooms, dining rooms and bedrooms, home decor, residential floor plans, home design, space plans, and furniture layouts. "Furniture is the mass noun for the movable objects intended to support various human activities such as seating and sleeping. Furniture is also used to hold objects at a convenient height for work (as horizontal surfaces above the ground), or to store things. 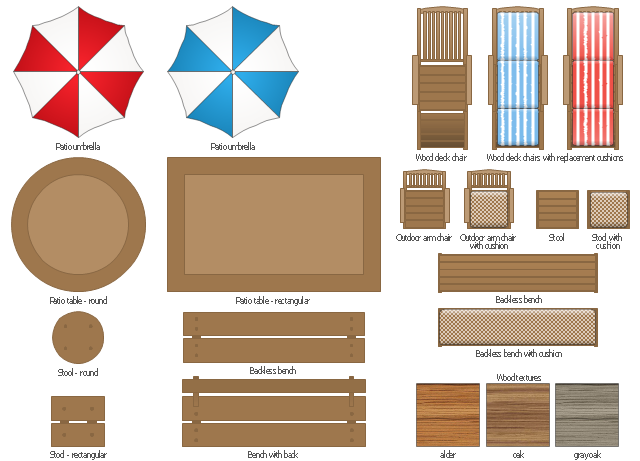 The vector stencils library "Basic furniture" contains 81 furniture icons. Use it to create your basic floor plans with ConceptDraw PRO diagramming and vector drawing software. 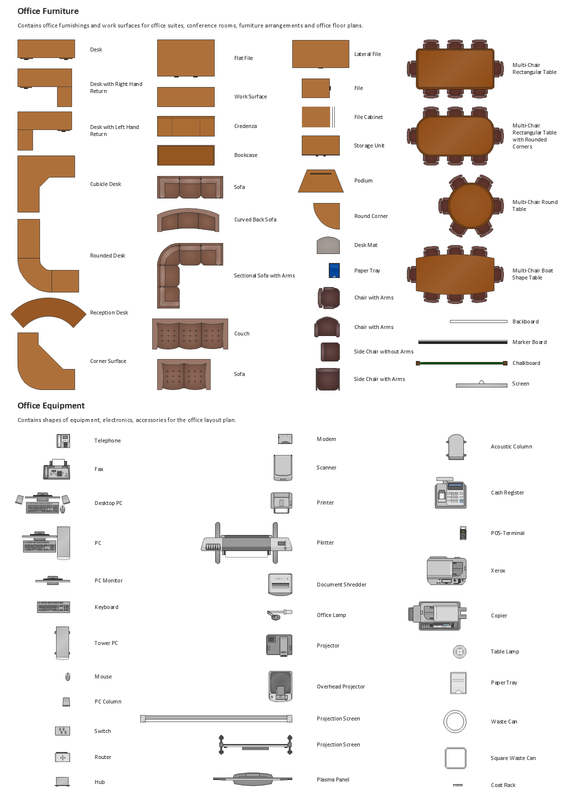 The vector stencils library Office furniture contains 36 symbols of office furnishings and work surfaces. "Office layouts are arranged so that staff can work together in departmental and team groupings, providing the best opportunity for efficient work flow, communication and supervision. 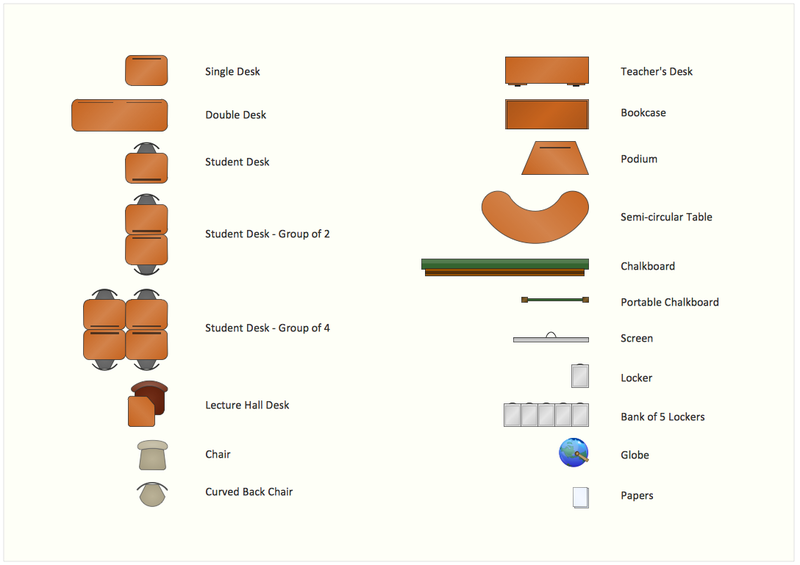 Use the design elements library Office furniture to draw office floor plans, office suites, conference rooms, furniture arrangements and space layouts using the ConceptDraw PRO diagramming and vector drawing software. 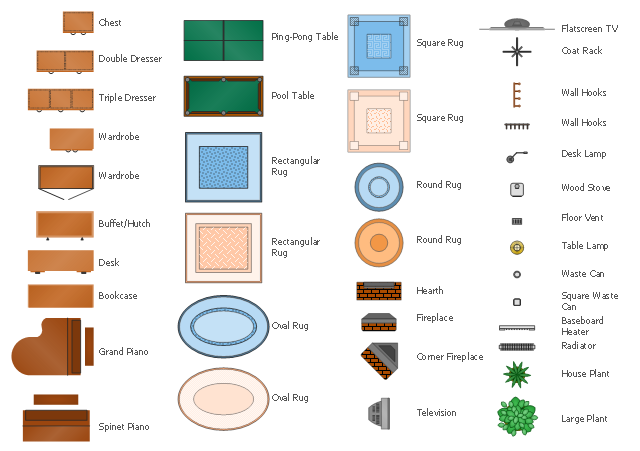 The design elements library Kitchen and dining room contains 22 symbols of furniture and applience. 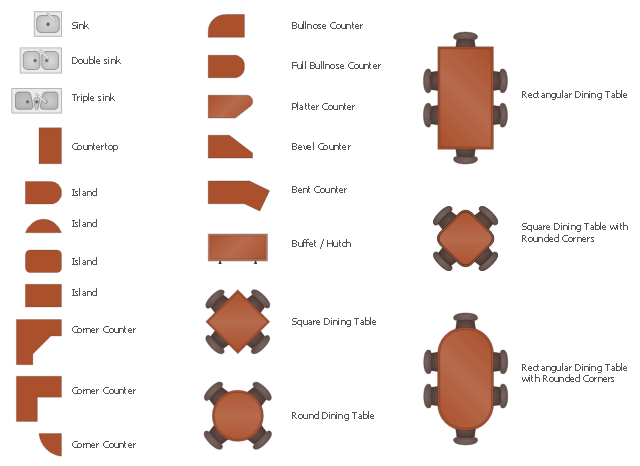 Use the vector stencils library Kitchen and dining room to draw the furniture and applience layout floor plan of kitchen and dining room.